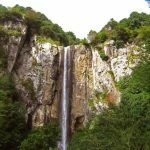 Located in the Alborz foothills is the palace where Shah Mohammad Reza Pahlavi and his family spent most of the last 10 years of his reign. 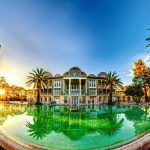 It’s set in 5 hectares of landscaped gardens and it has six separate museums, the best of which is the elegant 1960s Niavaran Palace, with its clean lines, opulent interior, and sublime carpets. In order to get in, tickets must be bought beforehand. 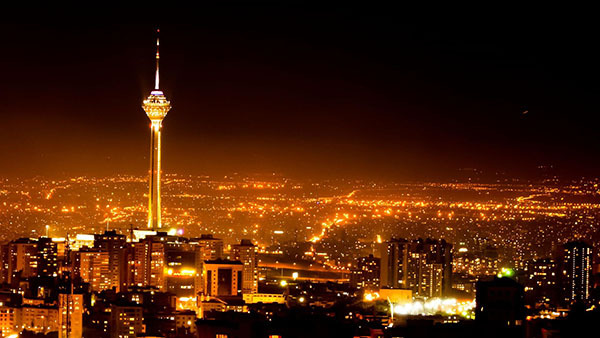 There’s a café just around the corner, you can find a café in almost every corner of Tehran. 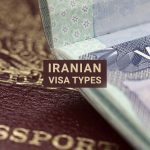 To get there, take a taxi or bus east of Tajrish Square and ask to be dropped off at Shahid Bahonar Square, near the museum’s entrance. 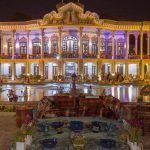 The following are the complex’s main elements; note that the Qajar-period Saheb gharanieh Palace, which was once Nasser-al din Shah’s harem before later being transformed into Mohammad Reza Shah’s office, is closed for renovations until the year 2018. The process of building the palace took ten years namely, from 1958 to 1968. This remarkable and fascinating building shows off clean-lined functionality and structure on the outside. Plus luxuriant, European style furniture and huge, elaborately woven carpets on the inside. Highlights include one magnificent and very famous carpet, called the Kerman carpet which displays Iranian kings as far as the Achaemenids and also European monarchies, including Napoleon Bonaparte. 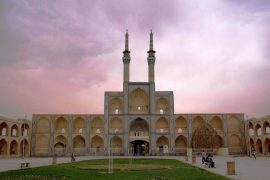 Plus the Shah’s walk-in wardrobe consisting of a number of uniforms; not to mention a selection of Farah Diba’s very stylish gowns; and a retractable roof which opens the center of the palace to the sky. East of the Niavaran Palace is this impressive two-floor library that was for the exclusive use of Farah Diba, it also proves that she had a good taste for designing. Floor to ceiling windows throws light on a collection of 23,000 volumes of comfy sofas, sculptures by the likes of Picasso and a dazzling ceiling feature of 4356 glass rods designed by the famous interior designer, Charles Sevigny. Look out for the Cinderella picture book signed by Walt Disney. In one part of the sprawling Niavaran complex, there are two rooms which are filled with a small but well-displayed example of the eclectic collection of modern and ancient art gathered by Farah Diba, mainly during the 1970s. It includes works by artist such as Warhol, Picasso and Joan Miró. 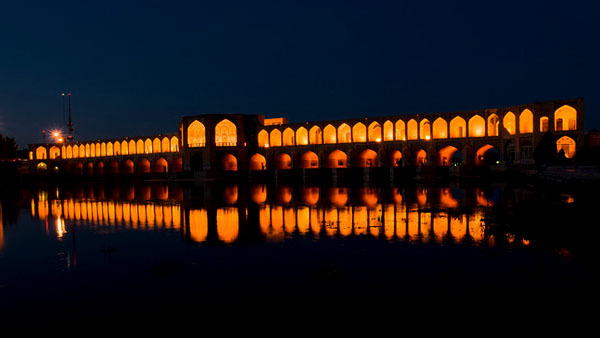 They are displayed in conjunction with Iranian archaeological artifacts. There are also finds from sites in Mexico and Egypt which are on display, plus rotating exhibits of contemporary Iranian art. 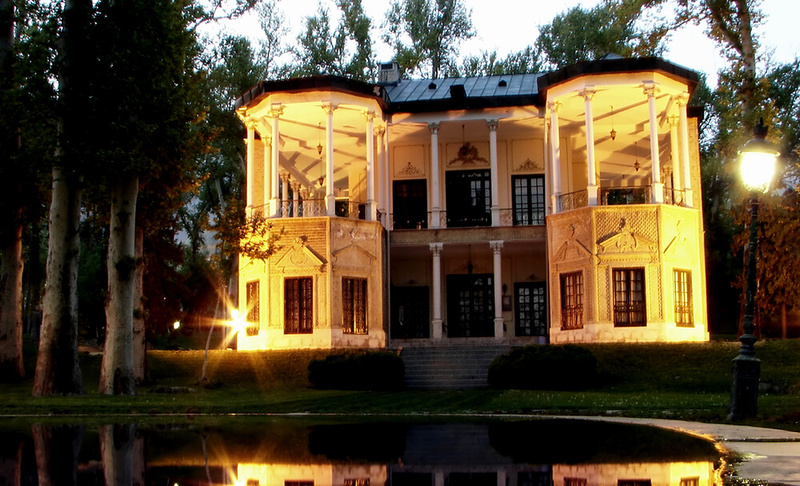 Situated just west of the Niavaran Palace is the attractive two-story mansion, dating from the early 20th century, which was last used as the residence of the crown prince Reza. The prince’s very own room has a withe and leathery feel to it, a feeling which most definitely reminds you of the 70s. Reza’s belongings range from childhood drawings to model planes (he was a pilot), a rock collection (with a moon rock gifted by Richard Nixon) to a polar-bear skin (a gift from the Canadian government). 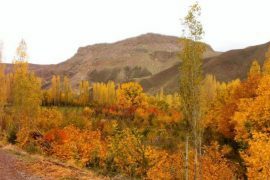 Just outside the Niyavaran complex is a small collection of cars and toy motorbikes used by the Shah’s family. There are two stately Rolls Royces available but, sadly there is only a photo of the scale model Aston Martin (number plate JB007) that was a plaything of the royal kids. 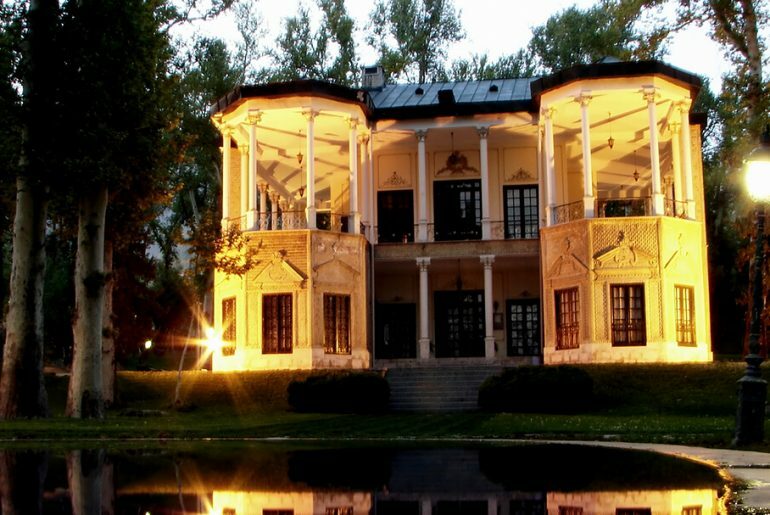 Housed in a beautiful Qajar-era mansion surrounded by a pleasant garden, this interesting museum has well-displayed and not to mention explained in English, exhibits of equipment, photos, and posters from Iran’s century-old movie industry. The highlight of a working cinema, Iran’s first, with ornate molded plaster ceilings. New and classic Iranian films are screened there (usually without subtitles) at specific hours every day, to know more you have to get a Farsi-speaker to call there and find out what’s on, don’t forget to ask about the hour of screening. There is a shop near there which is kind of like a Blockbuster store with the only difference that it sells hard-to-find and classical Iranian films on CD and DVD. The museum is a 10-minute walk down Vali-Asr Avenue from Tajrish Square; look for the broad street with a garden down the middle, leading to the museum. Scaled-down architectural models of famous Iranian buildings are dotted around this lovely, spacious walled gardens. Surrounded by small boutiques, cafes and a restaurant. The models include such landmarks as the Allahverdi Khan Bridge in Esfahan or popularly known as Si-o-se-pol, Gonbade Soltaniyeh, and Tehran’s Azadi Tower. It’s a very pleasant spot to relax, do some shopping and mingle with the locals. 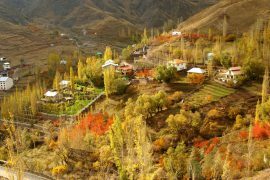 Park-e Jamshidiyeh is situated near the foothills of the Alborz Mountains and the exciting thing is, it goes up the mountain and with that said, you can imagine that it offers a clean and quiet atmosphere in which you can enjoy the view and escape the bustle of the city. 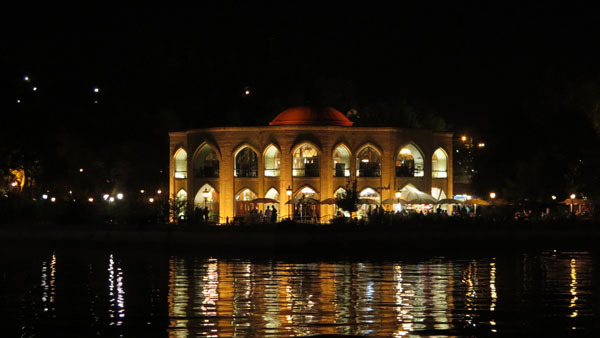 It’s the sort of place you could happily visit on an afternoon, while sipping tea, chatting with some random locals from the area and watching the lights of the city slowly come to life. 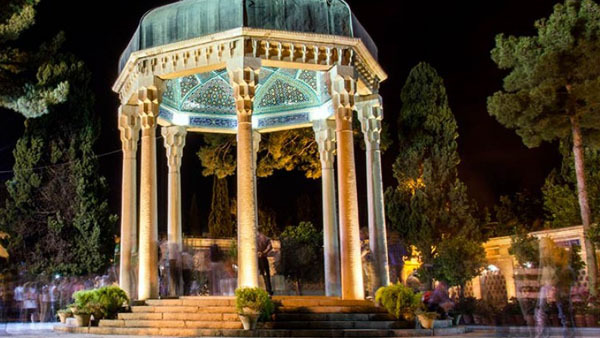 A lot of the people in Tehran say Park-e Mellat is their favorite, in-town getaway. If you’re here around dusk on any spring or summer, in the afternoons, you’ll find plenty of people enjoying the shaded areas around a small lake. On weekend nights, you’ll find just as many young people cruising up and down Vali-Asr Avenue while eyeing each other off and swapping phone numbers through car windows. 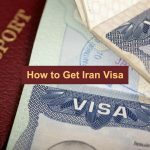 Can you insert the google maps and the locations of Tehran museums on your post?